You can enjoy Colorado golf courses without spending lots of money on greens fees or pulling strings to get on private clubs. The Eagle-Vail Golf Course in Eagle-Vail, Colorado (very close to Beave Creek, CO). The course is designed by von Hagge and is a unique experience in the rhythms of mountain golf. Each time you play, the experience is different and unique because of he way the sun (and clouds) filter through the mountain trees. And a second course I will be writing about is one you have probably never heard of: the municipal course in Moab, Utah. This is the summer to play golf in central Colorado. With winter’s abundant snow, the spring skiing will melt right into fantastic summer golf. The most exciting golf news lies west of Vail – in the triangle between Wolcott (twenty miles west of Vail), Grand Junction and Aspen. Geologically the area includes spectacular mountains, rugged canyons and the unique mesa scenery of the high dessert. The area features Engh-to-Engh golf. That’s not a typo; I mean Jim Engh, the Colorado-based architect who was named 2004 Golf Course Architect of the Year by Golf Digest Magazine. Jim was very generous in sharing his insights about the courses with me. Engh has designed three new courses in central Colorado: Redlands Mesa – just west of Grand Junction, Lakota Canyon Ranch – in the small town of Wolcott just west of Glenwood Springs and Snowmass – ten minutes north of Aspen.. All three demonstrate his fundamental design principle, which is to take the terrain as you find it and then design a golf course that enhances its beauty and character even further. Each of the three courses has similar Engh features: zig-zag or finger bunkers, bowl-shaped greens with dramatic banking and challenging blind shots from both the tee and on the fairway. All the courses have exceptional par-3 holes and the rhythm of the course does not slow down on the short holes. All three courses have multiple tees for all skill levels. The forward tees are exceptional – more about that below. In addition, both Redlands Mesa and Lakota Canyon offer very attractive greens fees for junior golfers – a credit to the management of both courses who have adopted Engh’s mission to design courses that all golfers can experience and enjoy. Engh’s courses are very women-friendly with two sets of excellent choices. The longest is around 5800, but all the carries over rough and ravines are manageable and seldom require more than about 80 yards of carry. As I reviewed the course -- and I usually try to think about how the course plays for all skill levels -- I realized that the beauty and drama of the layout was always experienced even from the “ladies tees.” So, I asked Jim specifically how he accomplished this. He told me that he actually begins his designs from the shot forward tees and then works the tees back to the championship tips. He went on to explain why he designs this way and he explains: the co-owner and developer of his highly-rated Sanctuary course in Sedailia, Colorado were Dave and Gail Liniger, the founders of RE/MAX real estate. Gail had been an excellent golfer but after a terrible car accident, she lost the use of her right side. Jim designed the Sanctuary’s forward tees personally for her so that even with her limitations, she could experience and enjoy golf again. Engh reports that the tees were so popular not just for women, but for seniors and juniors, that from that point on, he has designed his courses beginning with a short 4600-4800 yard forward tee and then moving back to the tips. Pretty amazing! The topography is a key element. As Engh explains: “Sometimes I look at the land, and I just see a hole sitting there. At other times, I see a dominant feature and I have to move the earth in order to get golf next to it. But my goal is to always make it look like the land has not been touched.” Accordingly, Engh works with the native vegetation. For example, at Lakota Canyon, dormant oat grass and wheat offer up waves of glorious color. When playing an Engh course, it’s as if the DNA of the golf course had been buried under the surface waiting for Engh to discover it. The oldest and grandest of the three courses built in 2001 is The Golf Club of Redlands Mesa in Grand Junction, CO. The course not only looks “heroic” but when playing well, golfers will also feel heroic. Named in 2003-04 by Golf Digest as one of the Top 25 public courses in the U.S., the first few holes play traditionally and quietly. But then beginning with the fifth par 5, the course heats up. By the back nine, I began to catch on to Engh’s surprises. It’s not just the blind tee shots, but the strategic challenge on the second shot – and even the third. Yet, I never felt “tricked.” Instead I was increasingly aware of the designer’s talent and vision. In fact, it’s tempting to look around for Engh himself and exclaim to him: “Oh, now I get it.” Engh’s fascination with panoramic vistas is best experienced on Redland’s par 3- 17th. Regardless of which tees you play, a walk up to the tips on the 17th is a must. REDLANDS MESA GOLF IN BRIEF: The Golf Club at Redlands Mesa, Grand Junction, CO (970-263-9270) www.redlandsmesa.com. Four sets of tees (yardages): 7007, 6486, 5838, 4916. The men’s tips: 71.7 rating; 135 slope. The women’s forward: 69.0 rating; 115 slope. 2004 Greens Fees: $69 (cart $18). Note the slope, ladies: this is easy golf and beautiful scenery. Located between Vail and Grand Junction (about an hour’s drive from each) is Engh’s Lakota Canyon Ranch Golf Club, which opened May 28, 2004. the golf god seems to be smiling on this course. It’s fun. It has made several lists of Top Public Courfses. With elevation changes of 600 feet, Engh has masterly preserved the natural vistas. With the steep canyons, the fairways at Lakota Canyon funnel more dramatically and are friendlier than the fairways at Redlands Mesa or Snowmass. The banks of the bowl-shaped greens are well-mowed which means that balls rolls onto the green. In addition to the zig-zag bunkers golfers at Lakota will encounter fairway pot-bunkers -- affectionately referred to as “bathtubs” -- steep circular bunkers with characteristicly-Engh very flat bottoms. Because the sides of the bathtubs are steep, if your ball lands anywhere other than on the bottom, you have will have a tough shot from the bathtub’s grassy sides. The 16th hole is absolutely “Engh-gaging”. (We can’t resist that pun.) A sharp dog leg right off the tee; then a tough second shot with high risk, high reward; then for some of us, another approach shot to the green with the hope of avoiding the bunkers and the shallow gully and finally coming to rest on a small banked green. Wow! This is a “Let’s play it again” hole, which explains Lakota’s daily replay greens fee of $30. The large undulating greens offer a variety of pin placements. Engh further explains: “My greens are never like lightening; they defend themselves in their contours.”. Like Redlands Mesa , the course at Lakota Canyan has been developed as an integral marketing feature of a real estate development. Both, in fact, share common investor-developers. Although the houses will generally be perched away from the course, it’s a good idea is to get there sooner, rather than later, to enjoy the un-obstructed scenery – or to pick out the best lot, and sales are reported to be very good. LAKOTA CANYON GOLF IN BRIEF: . Lakota Canyon Ranch Golf Club, New Castle, CO (970-984-9700). www.lakotoacanyonranch.com. 4 tees: 7100, 6369, 5608, 4744. 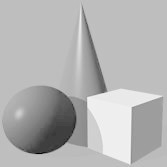 Men’s tips: 72.2 rating; 137 slope; women’s forward: 68.5 rating, 123 slope. 2004 Greens fees: $75 (walking permitted after 2 pm for $45. At Snowmass Village about 10 minutes north of Aspen, Engh was asked to redesign the original 40-year old Arnold Palmer layout. The course opened June 26, 2004 after two years of work and a great deal of advance press. A partial explanation is that not only was Engh confronted with a gentler landscape (a ski valley), but also he was constrained in the redesign by the existing home sites in the Snowmass development. Engh’s response to us was that Snowmass has more subtleties. Instead of the long vistas of Redlands, Engh explains, “The features are all closer at Snowmass. It’s a little more ‘touchy-feely’. It will take most golfers several rounds to become intimate with this course and then it will more than stand up to the drama of the others.” I tend to agree especially once the rough thickens and the greens play a little faster. SNOWMASS GOLF IN BRIEF: Snowmass Club, Snowmass Village, CO (970-923-9181). Five tees (yardages): 7008, 6559, 6129, 5471, 4736. From the tips: Men’s Rating: 71.9; Slope 143. Women’s forward (estimated) rating, 68; slope 120. 2004 Greens Fees: $150 Ask for XXXX and take a lesson before heading out. The day I reviewed the course, I asked her to play from the championship tees. No surprise – as an LPGA pro, she could do it! Ironbridge Sidetrip: About 45 minutes north of SnowMass is Arthur Hills’ new course, Ironbridge Golf Club – a short ride from Glenwood Springs. Actually the front nine is a redesign of the old local Westbank Ranch Course.. The new 18-hole course opened a year ago, but the real estate component and sales office were not added until this summer – hence, its recent attention. Although the course is private, It is not difficult to book a tee time especially if you are staying at the St. Regis Aspen, its marketing partner. The front nine winds through a scenic river valley and plain and offers very playable well-bunkered fairways. And, then, the back nine begins with a very long ride up into the canyon where Hills has carved out four holes (10 through 13) which he calls Lost Horizon. These must be the most dramatic canyon holes in the Rockies, with very steep elevations. But I could not help asking myself whether this canyon was meant to have four golf holes blasted in to it and whether any golf experience is enhanced by eight miles of cart paths? Nevertheless, the Lost Horizon holes are unlike any others. If you don’t suffer from acrophobia and if you love golf course adventure, you will probably enjoy this golf experience. IRONBRIDGE GOLF IN BRIEF: Ironbridge Golf Club, Glenwood Springs, CO (970-384-0630) www.ironbridgeclub.com. Five tees: 7224, 6706, 6208, 5531, 4948. Men’s tips: 73.3 rating, 140 slope. Women’s forward: 67.6 raging, 127 slop. 2004 Greens Fees to public: $125. Red Sky Sidetrip: The two best sister courses I have ever played. No update on a Rocky Mountain High is complete without reference to recent designs of Tom Fazio and Greg Norman, both at Red Sky Ranch in the tiny town of Wolcott -- about 20 miles west of Vail and a short ride from both Beaver Creek and the convenient Eagle/Vail airport. Red Sky Ranch is a very upscale real estate and golf course development and the newest undertaken by Vail Resorts Development and Vail Associates. Both courses have outstanding forward tees --- women are guaranteed to enjoy the courses. The Norman course, which opened in June 2003 and is still the only Norman design in Colorado, is a masterful routing in the mountain landscape using large fairway bunkers, varied elevations, collection areas and bent-grass collars on the greens -- all designed for strategic shot-making. The Fazio course is less dramatic but offers a truly splendid golf experience. The Fazio fairways are almost as slippery as the greens. The courses in the hands of the very experienced Superintendent, Mike Valiant, are in outstanding condition. Everything at Red Sky Ranch is five-star including the new Silver Sage restaurant (970-477-8362) offering one of the outstanding outdoor dining experiences in the Valley featuring food from the renowned chef from Vail’s Larkspur restaurant. Silver Sage is not quite as pricy as high-end Beaver Creek and Vail spots, and the wine list is excellent. It’s a trendy menu with tasting choices. Don’t pass up the parmesan truffle chips. Luckily for golfers, the Silver Sage chef also prepares the food for the golf snack bars. I challenge anyone to find a better grilled ham-and-cheese sandwich – anywhere. RED SKY GOLF IN BRIEF: Red Sky Golf Club, Wolcott, CO (970-477-8400) www.redskygolfclub.com. [Fazio: 7113,6813, 6405,5994,5265. Men’s tips: rating 72.0, Slope 125; Women’s Forward: Rating 68.2 , Slope 125. Norman: 7580l,6989,6572, 6080, 5269; Men’s tips Rating 74.2, Slope 144. Women’ Forward: Rating 68.5, Slope 124. Cordillera Sidetrip: My golf itinerary concludes with mention of the Cordillera resort located in Edwards, CO, about 20 minutes west of Beaver Creek . I love golfing with vistas of mountains all around me. And golf at the Summit Course – a Nicklaus signature design – is truly memorable. Because of the short growing seasons at the 9000 feet-plus elevation, it has taken a few years for the course to take shape. Cordillera also has courses designed by Hale Irwin and Tom Fazio, but the real gem may be the Dave Pelz short course playing 2500 yards with a choice of three tees. This is where all bets after a round of golf should be settled, and the deck of the Grouse on the Green Restaurant adjacent to the Pelz course is an excellent setting for a recap of the round. Cordillera is a private golf community but tee times are available when staying at the Lodge & Spa at Cordillera. For a real Rocky Mountain High, The Lodge still has the best après-golf pool and spa and mountain views of any resort in the region. WHEN TO GO: The season is shortest at the eastern edge of the region at Red Sky, Cordillera and SnowMass and extends from mid-May (weather permitting) through early October, except the Summit Course at Cordillera which has a shorter season. The Lakota Canyon Ranch Golf Club and Ironbridge, outside of Glenwood Springs, have slightly longer seasons playing from early May to mid- October. 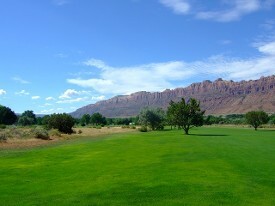 Redlands Mesa in Grand Junction is high desert with reliable golf weather from May through the end of October but best to play early in the day in mid-summer. GETTING THERE: Denver is served by many airlines. From the Denver airport, it is about a two-and one-half hour drive to Red Sky Ranch. During the summer, United offers direct flights from Dallas and San Francisco to the convenient Eagle/Vail airport . If driving from Denver to Lakota Canyon Ranch, New Castle (10 miles west of Glenwood Springs) is an hour further. Aspen (south) and Grand Junction (west), are each another hour beyond Glenwood Springs. There are connecting flights daily from Denver to Eagle/Vail, Aspen and Grand Junction. If basing your stay in the Vail area or Aspen, another option for efficient day trips is Aspen Aviation, Inc. (800-289-1369) charter air service serving Eagle, Grand Junction and Aspen airports. Note that all the courses are at elevations of over 7000 feet. Balls may go further in high altitudes, but it’s hard to play golf if you can’t breathe. Take it easy your first few days and drink plenty of water. LODGING: To play Red Sky Ranch it is recommended that you stay at and make your preferred tee times through one of 17 resorts owned or managed by Vail Resorts. (vailresorts.com). Choices include the Lodge at Vail, the Vail Marriott Mountain Resort & Spa, the Pines Lodge (in Beaver Creek), but our recommendation is the two-year old Ritz Carleton Bachelor Gulch (970-748-6200 (ritzcarleton.com) a short ride west of Beaver Creek village. The Ritz is a luxurious resort in the Ritz tradition and offers excellently-priced golf packages for September. Note: the resort is nestled in a sky valley and hotel shuttles or private cars are needed to get to the village of Beaver Creek. Another option is the Lodge & Spa at Cordillera (800-877-3529, cordillera-vail.com) which offers tee-times on the four Cordillera courses (but only after 11 a.m.). At the Snowmass Club adjacent to the Snowmass Club golf course, privately owned villas are available for rent. ($145-$160 for one-bedroom villas; golf packages available.) In addition to being only minutes from the new Engh course, the Club has a major health and fitness facility with an outstanding set of outdoor pools for adults and children. Accommodations are inconsistent depending on the condo owner’s taste and style. The town of Aspen is 20 mintues from the Snowmass course. Top choices in Aspen include the St. Regis Aspen and the Hotel Jerome. The St. Regis has a marketing relationship with Ironbridge Golf Club and offers preferred tee times. Grand Junction has limited accommodations, but my favorite, believe it or not, is Hawthorne Suites (Hyatt family, hyatt.com), located in the center of the historic downtown area. Our second choice is the Hampton Inn (Hilton family, hillton.com), also in downtown. Both hotels offers golf packages with Redlands Mesa. Another option is the Adams Mark located on I-70 with 300 rooms. Grand Junction is a wine-growing region; so, don’t miss The Winery Restaurant.. Although there are many value-oriented hotels and motels in Glenwood Springs along I-70, I have no specific recommendations. For our demanding readers, I suggest you play Lakota Canyan Ranch and Ironbridge from resorts in Beaver Creek, Grand Junction or Aspen. If you need a spot for lunch or dinner, I suggest the charming French bistro-style Rendez-vous Restaurant on Grand Avenue in downtown Glenwood Springs (970-945-6644). If golf wears thin, try the well-organized bike ride through Glenwood Canyan – the shuttle drives you and your bike to the top of canyon making the 15 miles ride down-hill ride a good family activity. The bike shop is in the Colorado Hotel in downtown Glenwood Springs. Nancy Berkley reviews courses from the women’s point of view and is the women’s columnist for The Golf Insider www.golfinsider.com, where her review of central Colorado golf first appeared.. She is an industry expert on women’s golf. 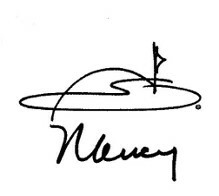 For advice about how to attract and retain women golfers, see her website www.nancyberkley.com. Nancy offers seminars and programs for industry professionals as well as women golfers and women’s golf associations.